Thoughts on photography, writing, film making, and other items of interest. 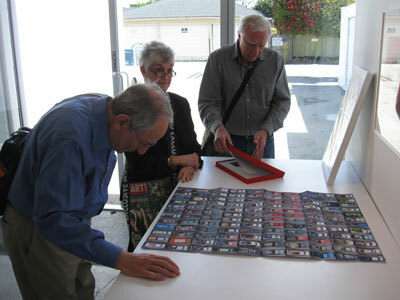 Saturday, May 26th, members of INFOCUS, the photography support group of the Phoenix Art Museum, traveled to L.A.. 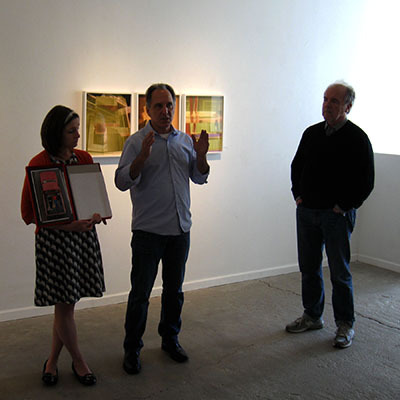 The first stop was at Kopeikin Gallery where an exhibition by Firooz Zahedi was on display. While there, Paul Kopekin showed the boxed edition of Carpoolers by Alejandro Cartagena, which comes with a poster and a print. There is also a regular edition available. I’ve followed Alejandro’s work for several years and previously purchased his book, Suburbia Mexicana, which documents his concern for misguided urban planning, a subject which is not limited to his home town of Monterrey, Mexico, but is relevant to many urban areas around the world. Also discussed was Andy Freeberg’s book, Guardians, containing photographs of Russian women museum guards. 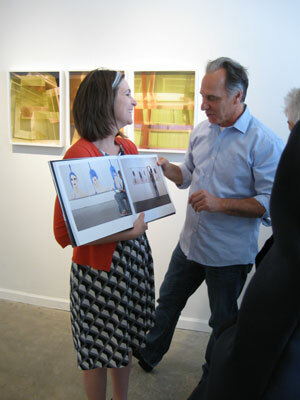 Andy had a signing later that day at Paris Photo LA of his book Art Fare. Paul showed the group some of the prints from Andy’s series, Art Fare, which were filled with humor. While there, I also got to see some small prints from Richard Tuschman’s series, Hopper Meditations. Absolutely beautiful images. Becky Senf, Paul Kopeikin and W.M.Hunt discussing Alejandro Cartagena’s book, Carpoolers. Members of INFOCUS examining Alejandro Cartagena’s Carpoolers. Becky Senf and Paul Kopeikin discuss Andy Freeberg’s book with the INFOCUS group from the Phoenix Art Museum. Hopper Meditations by Richard Tuschman. 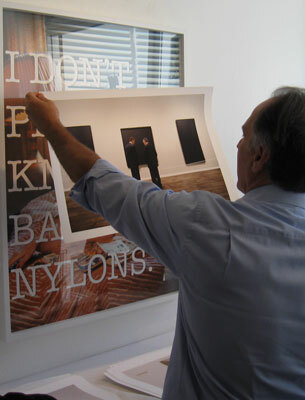 Paul Kopeikin showing prints from Andy Freeberg’s series, Art Fare. This entry was posted in Uncategorized on May 3, 2014 by Ray.